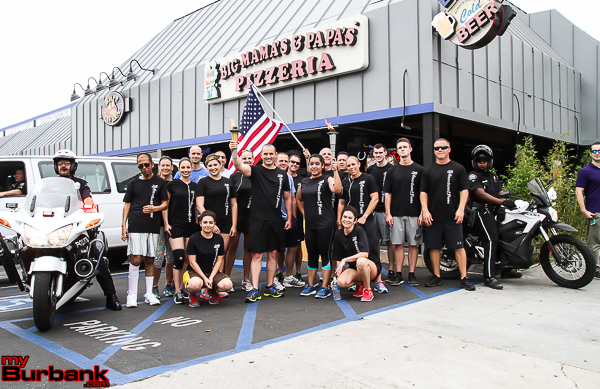 The Burbank Police Department participated in this year’s Special Olympics Torch Run on Wednesday, June 10. 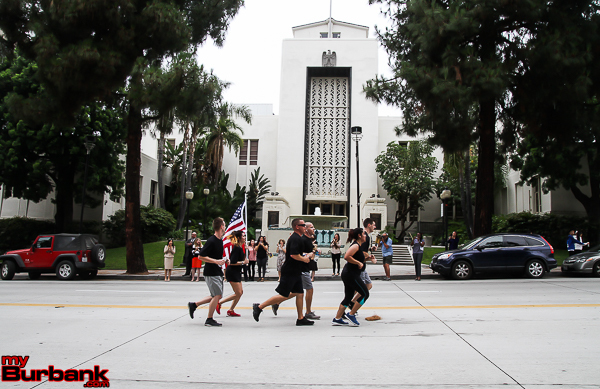 The team ran through the Burbank streets displaying City pride while onlookers cheered with enthusiasm. 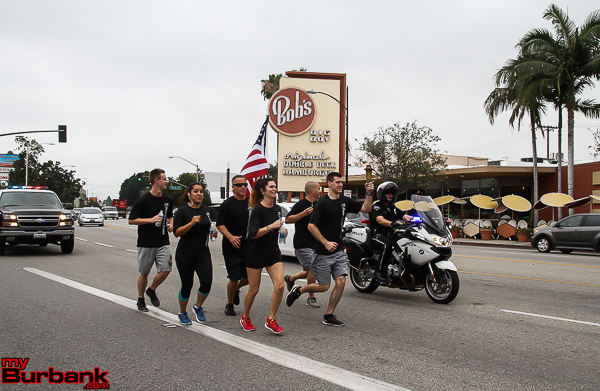 The Burbank team picked up the torch from LAPD North Hollywood Officers in the area of Riverside/Clybourn around 12:30 p.m. 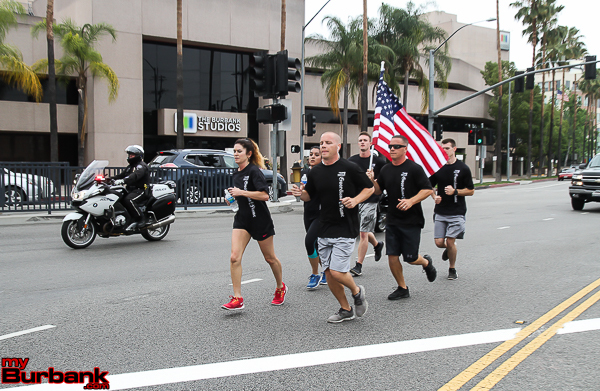 They ran east on Riverside to Alameda Avenue then to Olive Avenue. From there they proceeded east on Olive to the Police Station and paused for pictures. 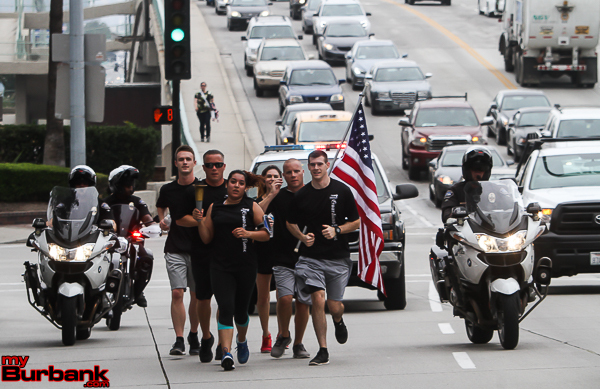 The officers left from there and ran south on Glenoaks to Alameda, and ultimately handed off the torch to their counterparts from the Glendale Police Department. 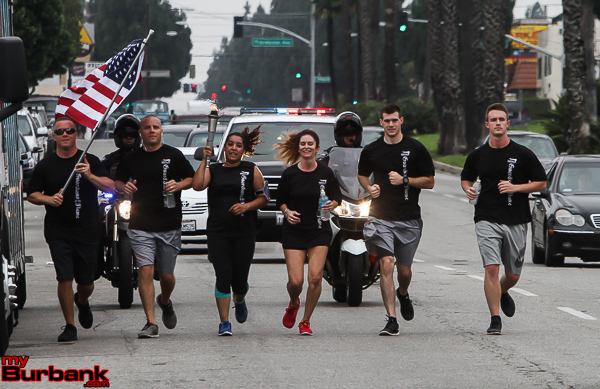 The runners consisted of Jailer Dawna Jurecka, Cadet Gregory DeBelius, Cadet Brandon Kelley, Cadet Magdalena Bautista, Helicopter Pilot/Officer Jason Embleton and his twin brother K-9 Handler/Officer John Embleton. Police Respond to Gunshot On Harvard Rd. 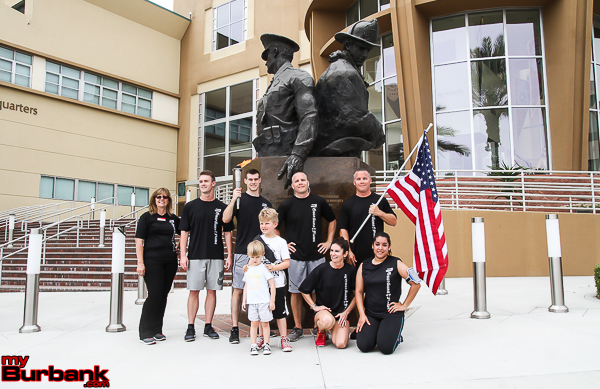 This entry was posted in News, Police, Police and Fire and tagged Burbank Police Department, Special Olympics World Games on June 11, 2015 by Ross A. Benson.